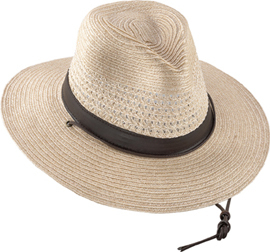 Well known for the quality of their leather hats, Henschel Hat Company also does straw hats. I'd like to say a bunch of really outstanding stuff about all that, but truth is, they need some Summer income too. What they do, is a softer straw body with a good headliner, that conforms to the shape of your noggin really well. Not everybody wants a stiff hat. These hats are considered dressy to casual. However, at this price, you can comfortably do your yardwork, sit on the pontoon deck and fish, take a hike to the nearest waterfall, ride tractors, ride 4-wheelers, or anything else you want to do, and keep the cancer off your face, neck & ears! 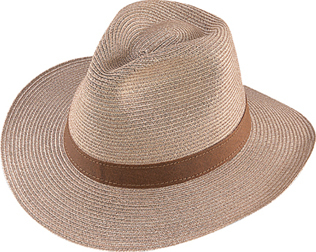 Also: If you are looking for cool and comfy, be sure to take a look at the "Breezer Hats" by Henschel Hats. For thousands of years, true hemp has been the fiber of choice for knitter and weavers all over the world. Hemp fiber is three times stronger than cotton, twice as resistant to abrasion and naturally resistant to mold and bacteria. And because it's a natural renewable resource, which requires little or no chemical cultivation, it helps preserve the environment for generations to come. 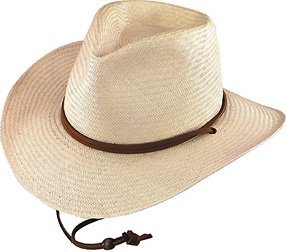 Lightweight summer hat, Chin cord (stampede string). Lightweight summer hat, Comfort liner. Lightweight summer hat. This style is often popularly known as the straw LBJ hat. 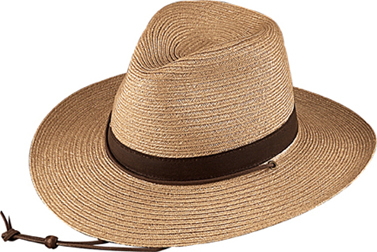 The front can be tilted down like a fedora hat, or left as shown. Lightweight summer hat. 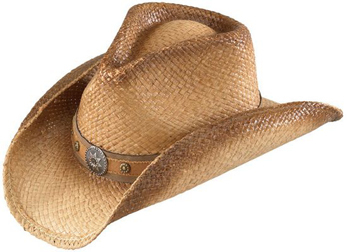 This style is often popularly known as the Sawyer Brown hat. Seen on the greens, beaches, and in the bars, of the world. Lightweight summer hat. 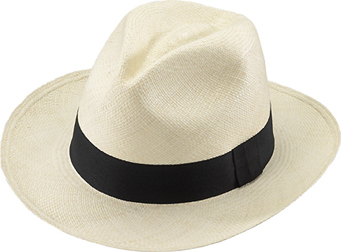 This style just a little different crown crease than the Panama Jack hat. Seen on the beaches, and in the bars, of the world. Chin cord becomes part of the hatband too. Seagrass is a comfortably soft natural straw. Conforms easily to your head shape. As it ages, a light coat of glycerine will replenish this straw. Tilt the brim down in front for a "dapper" look. Natural color. The telescope crease of the crown actually strengthens the hat. See a whole 'nother selection of Casual, Comfy, Western Straws, similar to this one, by clicking here! Burnished color. Pinched crease of the crown actually strengthens the hat. Authentic Henschel Western Hatband.